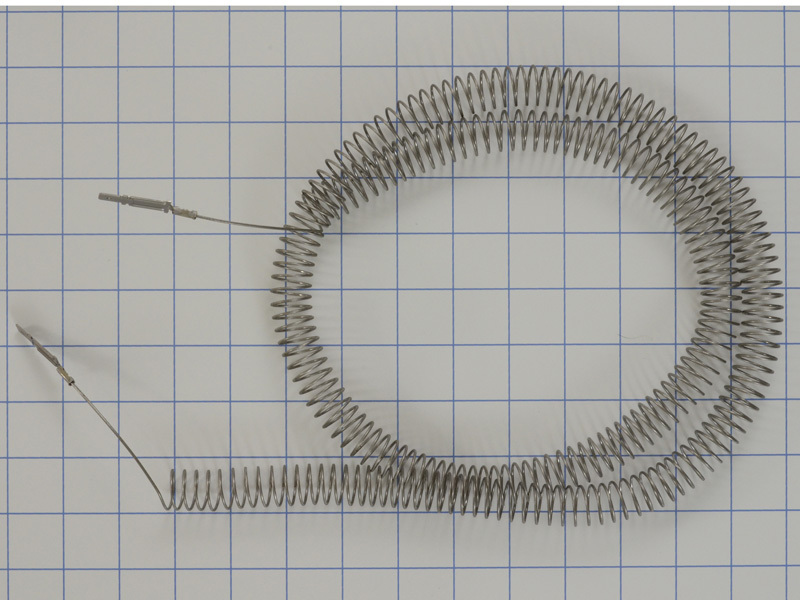 Dryer heater replacement heater coil kit 5300622032, is found on Frigidaire, Gibson, Kelvinator, Tappan, White Westinghouse, Kenmore and some GE electric dryers. 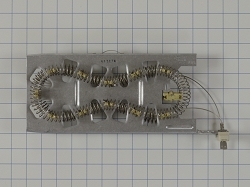 This Heating Element Coil that has 3/4 coil and 1/4 terminals. 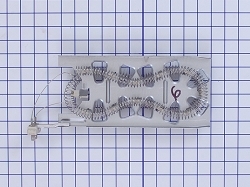 This is the coil only and you need to use the old housing when replacing this coil. 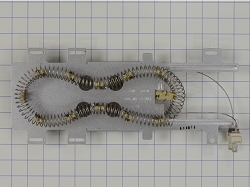 When electric goes through the coil, it heats up and produces heat for your dryer. 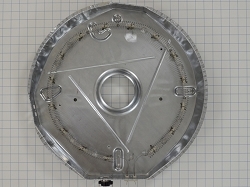 Replaces 08015672, 3042, 3202787, 3281114, AH451031, EA451031, NQ00622032, PS451031, Q000622032, Q622032, WQ622032.